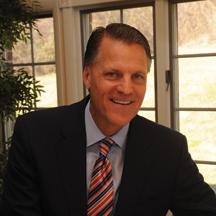 Mark Aitken is the co-owner and driving force behind the growth of Horizon Services, a full-service residential plumbing, heating and air conditioning company headquartered in Wilmington, Delaware, with an additional office in King of Prussia, Pennsylvania. With over 330 full-time employees, including 26 customer service representatives (available 24 hours a day), and 195 service trucks, Horizon Services is the largest and most trusted home services companies servicing Delaware, South Eastern Pennsylvania, North Eastern Maryland, and Central New Jersey. For nearly two decades, Mark Aitken and partner, Dave Geiger, have transformed their once small operation into an award-winning and highly recognized industry innovator. Horizon Services holds A+ ratings with the Better Business Bureaus, in addition to being members of the following trade organizations: North American Technician Excellence, Plumbing-Heating-Cooling Contractors Association, and the Associated Builders and Contractors, Inc.
Mark Aitken’s legendary drive, creativity, and work ethic have established him as one of the most successful small business owners in the area. 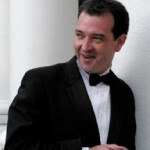 He is an active board member for the Better Business Bureau of Delaware and the Limen House. In the spring of 2010, Horizon Services under the direction of Aitken, created Horizon Helps, a non-profit, service-oriented arm of Horizon Services. Comprised of Horizon Services employees, Horizon Helps’ mission is to positively contribute to the growth and development of our community through charitable giving, volunteer outreach, personal development, and leadership. Since forming in 2010, Horizon Helps has sponsored multiple youth athletic teams, numerous community events, and Horizon employees have volunteered over 15,336 hours. Mr. Aitken grew up in North Wilmington and attended the prestigious Archmere Academy. He lives in Wilmington, Delaware and has two sons. Peter is a Delaware native, born and raised. He started cleaning as a live-in house keeper 25 years ago for a professional woman who was particular in her needs and wants. She just wanted things done right. One time she pointed out things that were missed. She said “I can give my house a lick and a promise, I want more form you.” She gave a lot of advice that Pride Klean uses today with staff, a focus on quality and detail, which are the core values of Pride Klean. Peter feels it is important to give back to the community in as many ways as possible. Pride Klean participates in two charitable organizations. The first is Cleaning for a Reason in which Pride Klean provides free cleaning for women with cancer. The second is Cleaning Angles USA in which Pride Klean provides free cleanings to anyone that is currently ill and can’t clean. 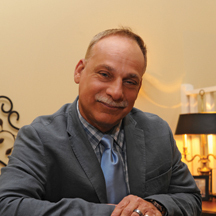 Peter is a founding charter member of the Association of Residential Cleaning Services International and sat on the Board of Directors. 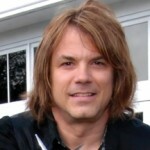 Presently he is on the Board of directors of Cleaning Angles USA. Rita Wilkins is the president of Design Services, Ltd. as well as principal designer and project manager. Known as the “business person’s designer” she brings extensive knowledge, creativity and experience to every project, as well as her boundless enthusiasm, creativity and solid business sense. With over 39 years experience in design and management, Rita is passionate about using her knowledge and talents to make a difference in the lives of others. She is a graduate of the University of Rhode Island, attended Rhode Island School of Design, and University of North Carolina. A highly effective “hands on designer” with extensive knowledge and expertise in residential, dental, medical and commercial interiors, she has been published in a variety of national publications, has received numerous design awards, and is currently writing a book , The Business Side of Design. Rita will tell you, however, that her “real” education and inspiration comes from her extensive travels which started as a child while growing up in Europe, where “weekend trips” were to neighboring countries and cities. In addition to travel, Rita enjoys time with family, friends, entertaining and “giving back”. Her volunteer activities include: Habitat for Humanity, Ministry of Caring and Cross Cultural Solutions. Her latest endeavor is to assist a recent scholar of the Fresh Start Scholarship Foundation with building her home. Not only is Rita a mentor to women in the Fresh Start program but she takes a personal approach to getting involved wherever she is needed. “Being a preferred florist for many venues,” says Barb, “our brides come to us from as far away as Chicago, New York and Florida, but most are from the tri-state area.” In 2011 Belak Flowers created wedding flowers for over 120 brides. Belak Flowers is a Preferred Vendor for David’s Bridal and won The Best of the Knot in 2012 for the third time. Barb’s wedding bouquets have been featured in many publications. 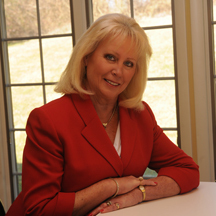 Cathy Hopkins Grieco was born and raised in Delaware. She prides herself on being a hard worker, strong community leader and contributor, a true family person and a business owner with integrity that represents the 3rd generation of a 4 generation relocation company. 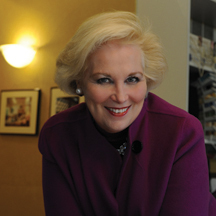 Cathy is President of Hopkins and Sons, Inc. which was founded in 1946 by her Grandfather and father. Her son, Mark, represents the 4th generation of the company. 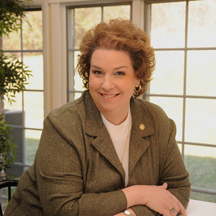 Cathy has been a member of various boards and is currently Vice Chair of the BBB of DE and a board member for Great Stuff Resale (Delaware Breast Cancer Coalition). She donates time to Junior Achievement and provides services free of charge through her business to several charitable organizations. Cathy strongly believes that success is the result of great team work and dedication. She attributes much of her success to the business partnership she has with her son, Mark and to the love and support of her husband, Mike. So if you are anticipating a relocation call Hopkins and Sons, Inc. for a FREE, NO OBLIGATION, estimate. 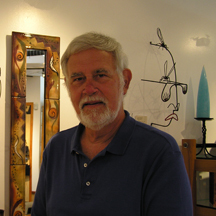 Following a successful 20-year career as a research/consulting scientist at the Academy of Natural Sciences in Philadelphia, John Sherman opened Creations Fine Woodworking Gallery in 1992. Sherman, with degrees from Hamilton College (BA), University of Vermont (MS) and the University of Delaware (PhD), decided it was time to let the right side of his brain have sway over his “second life.” Inspiration for the gallery came from a family background in small business, a woodworking hobby and a desire to “rail against the homogenization of our society where chain stores and giant, vacuous superstores have spread across the nation like a plague.” Opening in 1992 with six furniture makers, the gallery now features a large number of US, Australian and Canadian artisans representing a broad range of crafts ranging from aesthetic to purely functional work. The name of the gallery was changed to “Creations Fine American Craft” in 2010 to more accurately reflect the breadth of offerings available in a variety of media. Over the past two years, John and his wife Karen have served as a puppy home for Canine Partners for Life of Cochranville, PA. Many of Creations’ customers met “Digger” their first service dog in training that is now in advanced training at Canine Partners. Their newest puppy in training is “Banditt” a beautiful 15-week old female yellow Labrador puppy. Stop by the gallery and say hello. If you are at the Back Burner for lunch you will probably see John and Banditt out for her afternoon walk. Canine Partners for Life is a wonderful organization and John and Karen love to tell customers about the program. 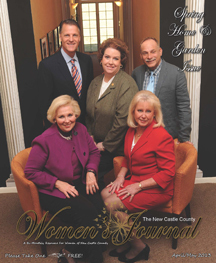 On The Cover… I would like to extend a special thank you to Ms. Rita Wilkins for graciously opening her offices to us for our Home and Garden Business Profile this issue. Rita’s design studio is located off of Silverside Road in North Wilmington. We did not do a separate shoot for Western DE County, since we are new to the area and have not built a Home and Garden section in the paper at this time. These business owners are some of the best of the best in their particular fields. All dedicated to providing you with the best service possible. I would highly recommend any of these professionals. All of their profiles can be found on Pages 8 and 9. Most people never know how much work and energy it takes to pull off one of our profile photo shoots, unless they participate in one, or if they are the people helping pull it all together. Hair and makeup were provided by J. Christian Hair Salon an award-winning, upscale salon located at 7465 Lancaster Pike, Hockessin, DE 19707; for more information call 302-325-2306. Roy McDowell of Royal Photography provided all photography work. Royal Photography is located at 3646 Silverside Rd., Wilmington, DE 19810, for more information call 302-478-1809. Without these wonderful people none of our photo shoots would be possible. Thank you for your hard work and dedication.